We started collecting birds as a small hobby and our hobby increased until we had a decent size bird farm in these North Georgia woods. 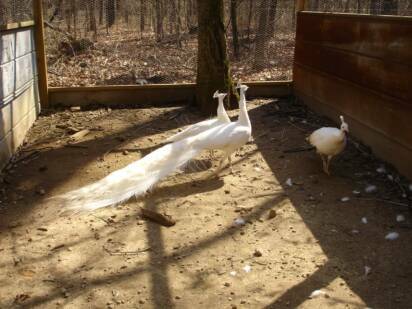 As we acquired more peafowl and pheasants we kept finding more that we wanted . We are located near the foothills of the Appalachian Mountains in some very beautiful country but the Atlanta suburbs is rapidly advancing upon us and changing our landscapes very often. Progress does take its toll on simple country living. But we try to blend in our country living as much as possible and live the country way of life that we love. 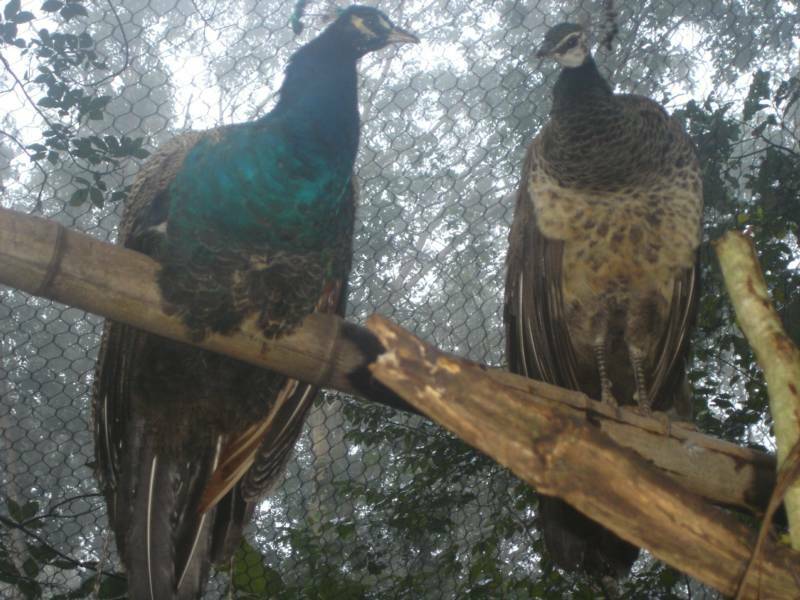 We enjoy our birds very much and invite you to come enjoy them with us . 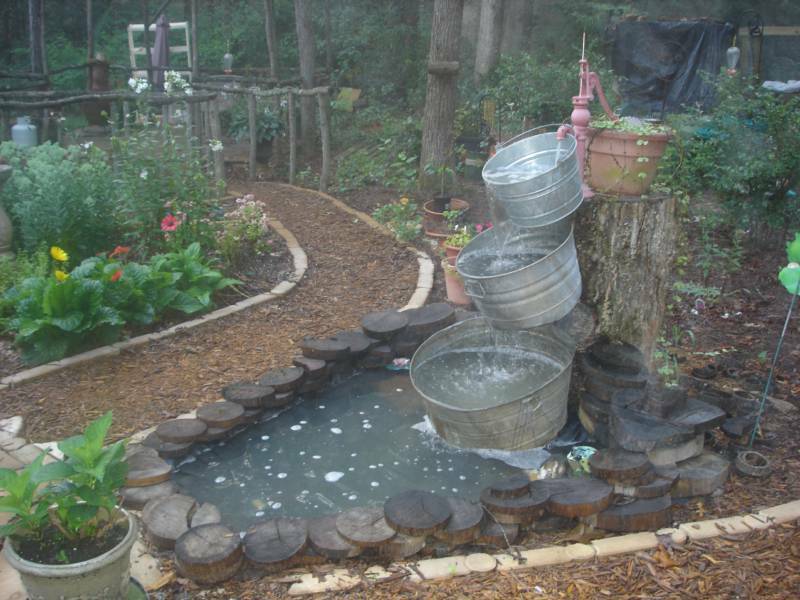 The aviaries and small garden areas were entirely designed and constructed by Scott Tart . Scott's vision and hard work have got us to where we are now. 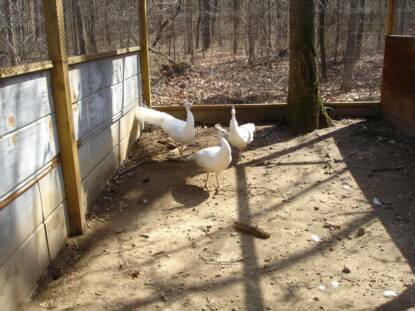 He has done a great job building these aviaries. And of course there seems to be maintenance problems that have to be taken care of daily. 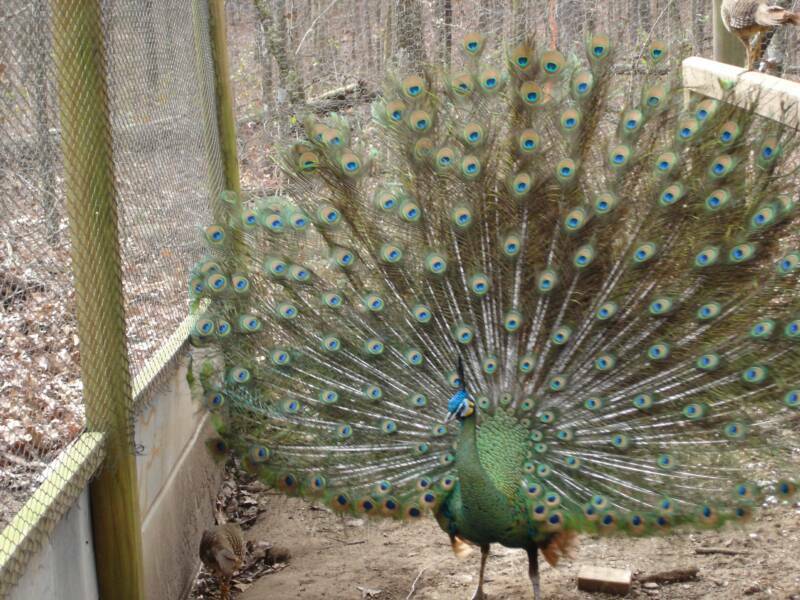 We built most of our aviaries among the trees and the birds like this(we do too) but it does create some maintenance problems that would not be there if the pens were created in an open field, as so many aviaries are. to our peak in 2009 and now we are cutting back a lot to make it a little easier to manage as some of us have started to feel our age a little. Young Black Shoulders Peacocks can strut too! Mother Peahen with her Peachicks. We raise all peachicks on wire. This was an experiment just for our grandkids. the birds elsewhere, if at all possible. We have several friends across the USA that have good quality birds and we will gladly refer you to them if they have the birds that you desire. birds and we took the pictures of the birds. We thank God for letting us enjoy their beauty and to be caretakers of them. Thank you for visiting with us and have a wonderful day. God Bless You!